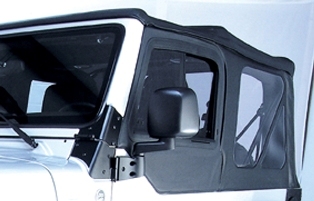 This door mirror from Rugged Ridge fits 03-06 Jeep Wrangler. It will also fit 87-02 Jeep Wrangler with hinge-mount mirrors. Left side only.